Historical Projects — Bloom Biological Inc. Historical projects spanning 40 years of BBI. Projects include Tejon Ranch, the California Condor project, and raptor work done in India. While working for the National Audubon Society as one of their staff Scientists, Dr. Peter Bloom directed the field team effort to capture all of the wild free flying California Condors, and along with other Audubon employees, collected a substantial portion of the total VHF data point locations used to document their movements. This included the capture of 10 condors then known by the names IC-1, AC-2, AC-3, AC-4, AC-5, AC-6, AC-7, AC-8, AC-9 and UN-1. In 1980 there were 22 condors in the wild, by April 1987 there were zero. If this controversial program had not been implemented at that time, by the year 2000 the species was predicted to have gone extinct. He also assisted the zoo veterinarians in the successful capture of the first three chicks brought into captivity. Having avoided lead poisoning, one of these birds, AC-9, is now in his early 40s and has reproduced successfully both in captivity and later in the wild. Over the course of 7 years Dr. Bloom (and working together with W.S. Clark for two) volunteered portions of 7 months for a conservation related project sponsored by the US Fish and Wildlife Service International Affairs office, Bombay Natural History Foundation and the Indian government. The primary focus was on educating several Indian biologists and their field crew in the capture of birds of prey, mounting VHF transmitters and conducting radio telemetry studies. This included the capture of Egyptian vultures, Indian white-backed vultures, luggar falcons, Eurasian kestrels, red-footed falcons, black-shouldered kites, greater spotted eagles, steppe eagles, tawny eagles, crested serpent eagles, white-eyed buzzards, long-legged buzzards, shikra, and crested goshawk. Six crested goshawks, 6 crested serpent eagles and 1 Indian white-backed vulture were affixed with transmitters. Research areas included national parks within the states of Gujurat, Rajastan and West Bengal. Approximately 10 Indian biologists participated in the program. 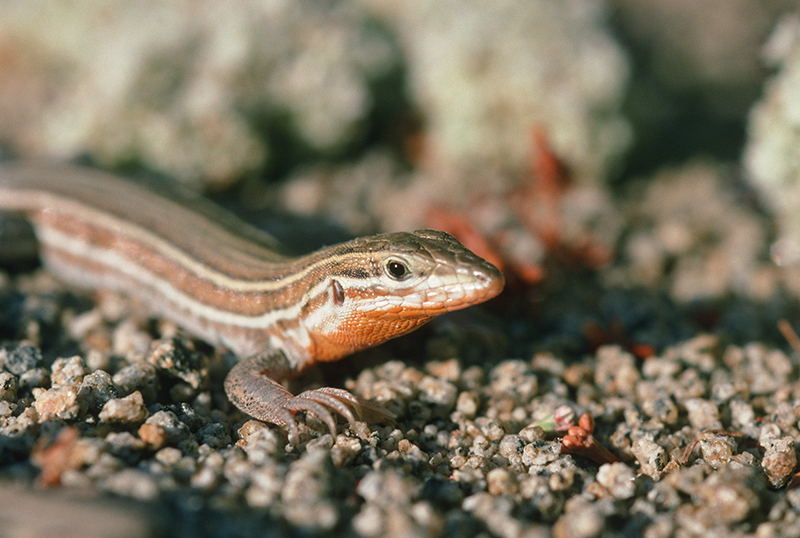 Early survey work of raptor populations, White-tailed Kite, Arroyo toad, Western Pond turtle, California Gnat Catcher, Southwestern Willow Flycatcher, Least Bell's Vireo, Western Spade-foot Toad, Orange-throated Whiptail, Coast Horn Lizard, Red Diamond Rattlesnake, Coastal Glossy snake. BBI conducted large-scale research on California Condors and Golden Eagles which aided in the preservation of significant portions of Tejon Ranch, including consultation on how to preserve habitat for the Condor and Golden Eagle which, facilitating the preservation of over 240,000 acres. It is a unique achievement in the environmental and development communities and is currently the nation's largest conserved habitat for the Condor. Management steps include eliminating the use of lead ammunition, providing a full time biologist to oversee monitoring and development, and the undergrounding of new utility lines. There are over 25 species benefitting from the preservation efforts, including many of the species BBI is permitted to work such as the Burrowing Owl and the Least Bell's Vireo.